How does one prep before and after a disaster? Pack enough canned goods to last for several weeks? Store large amounts of water for drinking and hygiene? Have a detailed plan of action or rendezvous point in case communication becomes non-existent? Load up on guns and bring your friends? 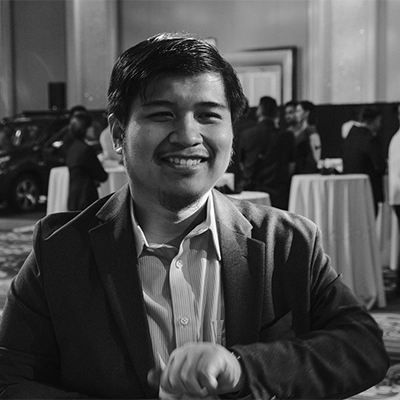 The answers lay in Chevrolet Philippines’ 'Born Ready' event wherein we got to learn how to prepare for the worst and also got to drive two of the brand's top-selling vehicles. Held in an undeveloped section of Sun Valley Estates, Antipolo, Rizal, the off-road / doomsday prepping event became more interesting after torrential rains made the already precarious course more slippery. Thankfully, we were armed with the Trailblazer and the Colorado Tracker Pro — designed to withstand any weather and terrain Mother Nature can throw at them. Getting to live through a disaster is one thing, surviving the next few post-doomsday weeks is another. Martin T. Aguda Jr., a safety advocate invited by Chevrolet PH, taught us the importance of having a bug-out kit as well as knowing basic survival tips. If we want to survive, we will need three key components: a survival kit, training and the will to live. Going to the unknown without any of these elements is a sure way of bidding farewell to the world. Having all of the resources at your disposal will be useless unless one knows how to use them. Training and getting to know certain disaster scenarios will allow us to know what may eventually happen after a catastrophe. One should also assess if it is better to stay in the crowded metropolis or bug-out into the less dense provinces. For Aguda, it is better to move out of Metro Manila since it will be less chaotic in the country side. Apart from having the obligatory swiss army knife and other resources, one should also have a whistle handy at all times. According to Aguda, it can easily catch the attention of any bystander, whether it be up high or down below. It can practically save a life. Speaking of saving a life, one should also learn first aid. This does not only cover patching up wounds, it is also viable to know Cardio Pulmonary Resuscitation (CPR), applying pressure to an open wound to control bleeding, stabilizing broken bones and preventing the onset of shock. After imbuing us with the necessary knowledge for surviving the unknown, it was then time to get ourselves attacking the wilderness with Chevrolet's off-road behemoths. With a 800mm wading depth, brutish yet appealing exterior design, 7-seat interior and a 2.8-liter Duramax turbo diesel engine mated to a 4WD system, the Trailblazer can easily fill the role of a doomsday vehicle. After climbing aboard and getting comfortable inside the Trailblazer, one might expect the main strategy to be to power through the rough and slippery terrain, but that is not the case here. We begin with a slow start towards a very steep hill, but before taking the plunge (figuratively), my guide, Mr. Louis Ramirez, asked me to turn on the PPV’s Hill Descent Control (HDC). In a nutshell, HDC allows a vehicle to go down a hill, or similarly, steep incline at a decent pace. After activating it, we ‘disembarked’ down the hill and boy was it an experience. It was quite unnerving at first to not apply the brakes when going down the hill as it took every fiber in me to not step on the pedals. But the system did work its magic as all I had to do was steer the car onto the direction I wanted the vehicle to go to. The HDC applied the brakes for me. After that ordeal was done, we turned off HDC and proceeded to go our way through the terrain. It was then on to the slippery and sticky mud that proved to be quite a feat, even for the Trailblazer. Even with the advantage of 4WD, the PPV was still slippin' and slidin' but nothing that couldn't be fixed with a switch to 4WD-Low. After romping around, we proceeded to climb back up the hill again, where I learned that keeping your foot on the pedal while on muddy terrain is key. Even though the wheels were trying to find grip and the 2.8-liter Duramax engine was working hard, Louis egged me on to deliver constant power to the wheels as it will allow the tires to eventually gain traction. The simple technique worked, as we were able to get at the top of the hill without getting stuck mid-climb. To think that the simplest of solutions actually worked in a rather troublesome situation. Up next was the Chevrolet Colorado Tracker Pro. We already got to check out this particular pickup before via a testdrive review, but this time, we were able to fully test the off-road capability of the Tracker Pro. Also powered by the same 200 PS, 500 Nm (this one was also an automatic) 2.8-liter Duramax inline-four found in the Trailblazer, the Tracker Pro now benefits from an array of factory add-ons that make the most out of the pickup. Immediately seen up front is the snorkel along with the power winch that has a maximum pulling payload of 5,443 kg. Other modifications in the Tracker Pro include a two-inch lift kit (which delivers best-in-class water wading capability of 880mm), all-terrain tires, aluminum skid plate, tow hitch rated up to 2,250 kg, onboard dashcam (with 32 GB of memory), tire pressure monitoring system and a rear back-up camera. After trudging through the mud with the Trailblazer, I was already pretty confident in driving off-road, but having Mr. George Ramirez as my guide in the Tracker Pro somehow assured me of my off-roading skills. Set on 4WD-High, there was nothing the pickup could not handle. If it did encounter a mishap (gladly we did not), the power winch will be more than enough to allow the pickup to get itself out of the muck. It was then on to an even rougher patch of terrain that consisted of rocks, gravel and uneven tracks of mud. This served to test the damping quality of the Tracker Pro’s suspension. The typical front double wishbone and rear leaf spring setup was still firm but won't break your back. Mind you, we went up and down this rough terrain with an average speed of 25-35 km/h. Try doing that in an older pickup. The 4WD system and 6-speed automatic gearbox were also smooth and refined. There was practically no gear whine from the system while the automatic transmission had no 'shift-shock' between gears. Even when tackling a steep uphill climb, the gearbox didn't send a sudden surge of power to all four wheels, which was nice. It is also nice to know that the transmission has a 'manumatic' function in case the driver wanted to change gears themselves. But during this particular weather and slippery terrain, I was just happy to set it to D and be on my way. We personally didn't get to use the power winch, but Chevrolet Philippines held a demonstration of the device by recreating a situation wherein a black Colorado needed to be pulled out of a ditch. Using a large rock as a makeshift anchor and pulley, the orange Colorado Tracker Pro was able to pull its 'brother' out of the ditch. Let's be honest, having a high-riding vehicle at your disposal is already beneficial when it comes to tackling the rough terrain. It is however better to have an all-around off-roader that can seat multiple occupants as well as carry enough survival gear. Both the Trailblazer and Colorado Tracker Pro showed that even when faced with harsh driving conditions and uneven terrain, it can still perform well and carry as much equipment it can hold that will allow occupants to last for weeks while out on the road or after a disaster. Some, if not most of us, may not be prepared for an upcoming crisis, but Chevrolet Philippines does offer peace of mind when it comes to having a capable and well-equipped off-roader in the guise of the Trailblazer and Colorado Tracker Pro. We go on a drive to experience Subaru tech at work on fuel efficiency and its capabilities on challenging terrain.